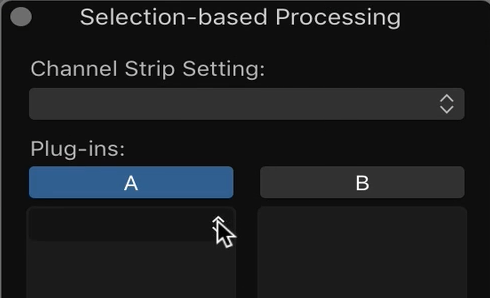 In Logic Pro choose Selection-Based Processing from the Functions menu. A list of "A" and "B" plug-ins applied to the selection is shown. 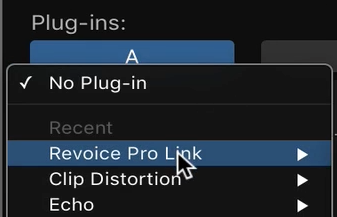 Hold down the selector below the "A" heading and select Revoice Pro Link from the list of plug-ins shown. Click Apply at the bottom right of the Selection-Based Processing control panel. 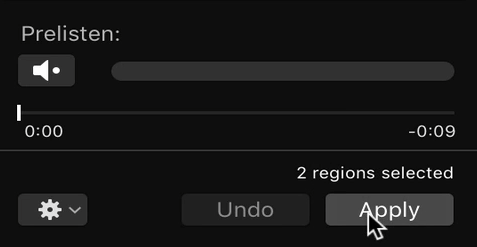 To avoid creating a copy of the original regions in Logic, Undo Selection Based Processing from the Logic Pro Edit menu. 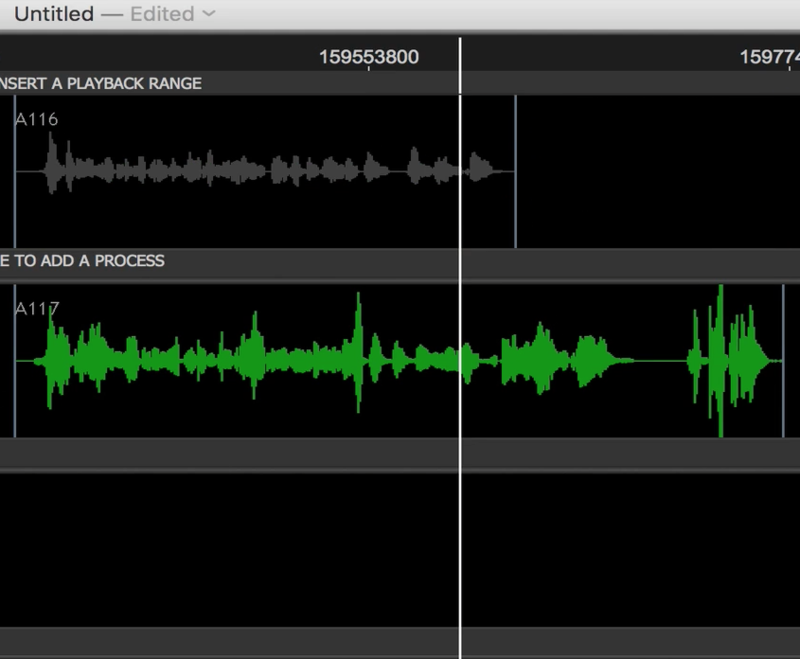 Drag the Dub region down onto a spare Revoice track.